Cindy has a degree in Nutrition and Dietetics from Kent State University and is a Registered Dietitian. She is also certified from The American Academy of Dietetics in Pediatric and Adolescent Obesity and Wellness and Counseling. Cindy serves as adjunct faculty at Case Western Reserve University overseeing Public Health Nutritionist interns. She has over 35 years in the Food Service/Wellness Industry. 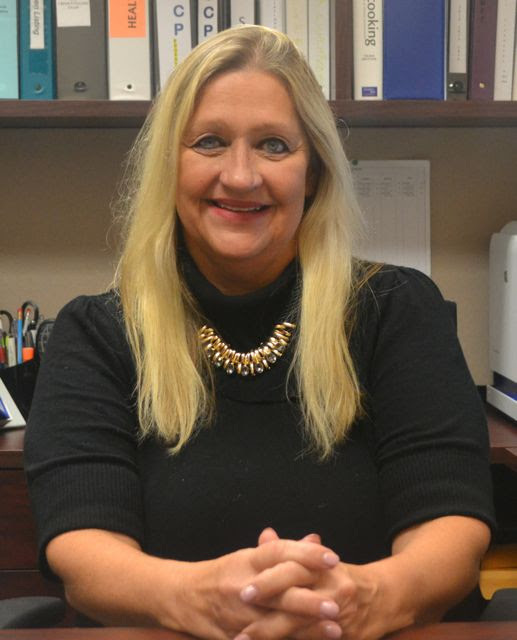 For 19 years she has been in food service with schools (Orange and Parma districts) and, prior to that, she worked 17 years as a corporate dietitian in healthcare. The District School Nutrition Supervisor will oversee all aspects of the district Child Nutrition Program (CNP) operation. The job functions include administrating, planning, directing assessing, implementing, and evaluating the program in order to meet the nutritional and educational needs of children, as they relate to the CNP. The school nutrition professional shall partner with others in the school district and community to solicit support for the development of a sound nutrition assistance food program while following federal, state, and local guidelines. The CNP is to provide an environment that supports healthy food habits while maintaining program integrity and customer satisfaction.